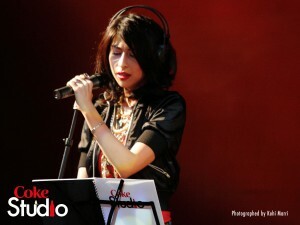 Pakistani fashion model Meesha Shafi is to star in a Hollywood movie “The Reluctant Fundamentalist”. This movie is directed by Mira Nair. The movie is based on Mohsin Hamid’s bestselling novel ‘The Reluctant Fundamentalist’. Pakistani fashion model Meesha Shafi will perform alongside Hollywood actors Kate Hudson, Liev Schreiber and Kiefer Sutherland. Rest of the cast, of ‘The Reluctant Fundamentalist’, includes Bollywood icons Shabana Azmi, Om Puri and the international project star Riz Ahmed along with Nelsan Ellis, Martin Donovan and Haluk Bilginer. “The Reluctant Fundamentalist” is adapted by Mohsin Hamid, Bill Wheeler, and Ami Boghani and is produced by Lydia Dean Pilcher. The movie will be filmed in New York, Atlanta, Lahore, Delhi and Istanbul. It looks like that Veena Malik is totally under the influence of Hindu culture; the actress has turned wholly vegetarian. Furthermore, Veena Malik also poses proudly for the new PETA (People for Ethical Treatment of Animals) advertisement campaign. By becoming a part of PETA, Veena Malik joins the list of Bollywood celebrities like Lara Dutta, Shahid Kapoor, Pankaj Advani, Anil Kumble, Amrita Rao, Rahul Sharma and Monica Dogra. Katie Holmes goes for an early morning walk to Starbucks with her 5-year-old daughter Suri on Thursday in Pittsburgh, Penn. The 32-year-old actress and husband Tom Cruise, who’s in town filming One Shot, made a quick trip out to Palm Springs, Calif., over the weekend for the wedding of Mission Impossible – Ghost Protocol producer David Ellison. At the reception, one of David’s friends challenged Tom to a dance off. Check out TMZ to see Tom bust some of his best moves on the dancefloor! Minka Kelly rides a jet ski while filming Charlie’s Angels on Tuesday in Miami, Fla. The 31-year-old actress, who was joined on set by co-star Rachael Taylor, also performed CPR on an extra for another scene. she went to on a long vacation with her mother, brother and sisters that was her dream to put on hold for the time being. She came back from her dream vacation urgently to duty call from Yashraj Films to not just learn some heavy-duty stunts. Katrina will sing for the album of the singer Ali Zafar has yet been uninitiated into the realm of music, this will be for the first time for her in the movie. The portions of the movie of singing of her character are now being worked out. She remained unavailable for comment. Let see that singing of Karina will also the beautiful as her acting and modeling or not? 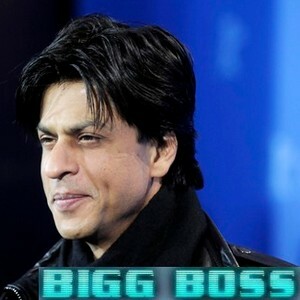 The star of the Bollywood and also known as the name of King Khan, the Shahrukh Khan has snub the show of Bigg Boss 5th season, he was supposed to appear on Bigg Boss 5 because he is the good friend of the host of the show of Bigg Boss and the star actorSanjay Dutt, but unfortunately Shahrukh has decided to give a miss of the show of Bigg Boss, becauseSalman Khan also with Sanjay on the show as a co-host of the show. The upcoming movie of King Khan with the name of Ra. One is releasing this Diwali and he is neck-deep into promotion for the movie.